Turmeric is getting a lot of attention these days for it’s health benefits. Have you been noticing more recipes calling for turmeric? 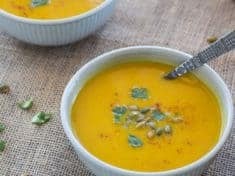 Join everyone on the bandwagon by putting turmeric front and center, with this lightly spiced turmeric curry carrot soup! This post first appeared on Pressure Cooking Today, where I am a contributor. 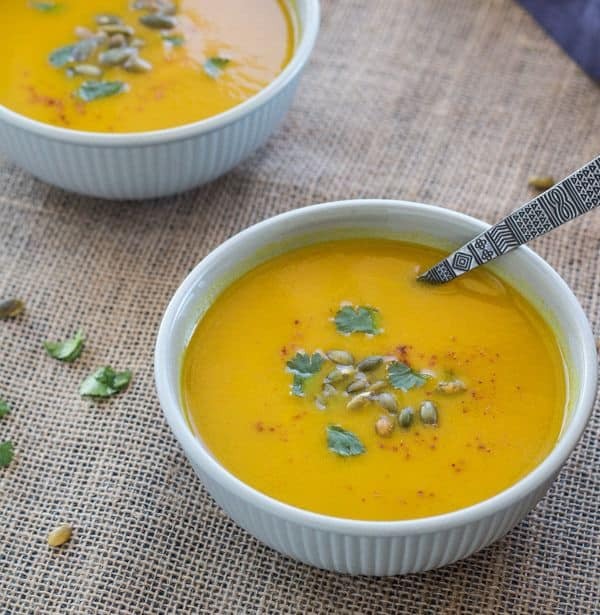 CLICK HERE to PIN Turmeric Curry Carrot Soup. Layer upon layer, this vibrant soup is built for flavor. The onions, garlic, and carrots soften and release their aroma with a brief sauté in olive oil. Curry powder, a blend of turmeric and more than a dozen spices and herbs, of course contributes big time to the pot. Vegetable broth, the pure essence of veggies and herbs, adds its own flavor depth, and honey-tart apple juice brings in a bit of sweet. A potato provides smooth dairy-free creaminess. With a squeeze of lime to brighten things up, every ingredient in turmeric curry carrot soup hits a corner of your mouth. Both fresh and dried, turmeric deserves our attention. It’s already well known for its anti-inflammatory advantages–now it’s getting more and more recognition as a medicinal powerhouse. Turmeric is proving itself as a cancer fighter and detoxifier, with potential to improve grain and kidney function, blood sugar balance, and gut health. That’s a lot of life-giving goodness in one funny looking root, wouldn’t you say? Turmeric is the spice of the year, mark my words. Make it yours. What, you’re already there? Did you already learn about turmeric’s qualities in my healthy tangerine almond smoothie post? That frothy fruity smoothie includes fresh turmeric too, enhancing both color and taste. 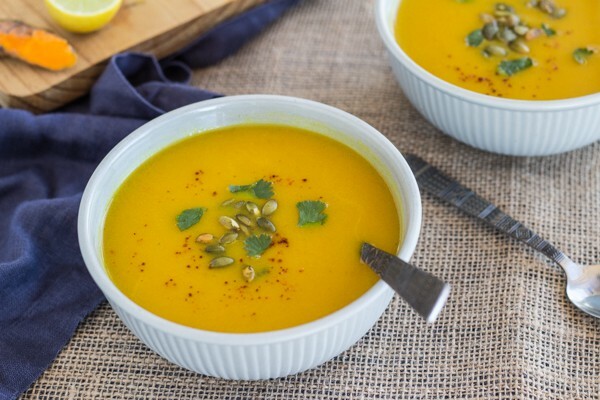 Vibrant in flavor and well-being, turmeric curried carrot soup is today’s tasty way to enjoy turmeric. Ladle some in your bowl, and sprinkle with toasted pumpkin seeds, cilantro leaves, and a pinch of chile. One hot spoonful of this warming soup and you’ll be with me, declaring turmeric this year’s winning spice! Spice companies and home cooks have their particular ratios of curry spices—likely including at least cardamom, chile, cinnamon, cloves, coriander, cumin, and fennel. Of course curry powder involves turmeric–it’s what gives curry dishes their characteristic vivid yellow color. 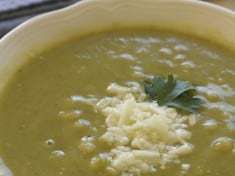 Serve this soup simply, with a crisp green salad, or for a more substantial meal, with quesadillas or grilled cheese sandwich. Wishing you a fabulous week–get in the kitchen and cook up something with turmeric! I just might be addicted to Instagram! 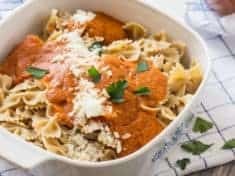 Check out recipes I Saved on Pinterest this week. PS If you make this recipe and love it, please consider leaving a blog post comment. Your comments help other readers learn more about the recipe. 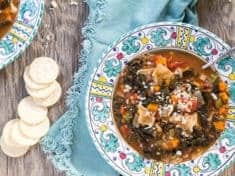 This bright flavorful soup warms you up when it's chilly outside. You'll love its subtle spiciness and light creamy smoothness. 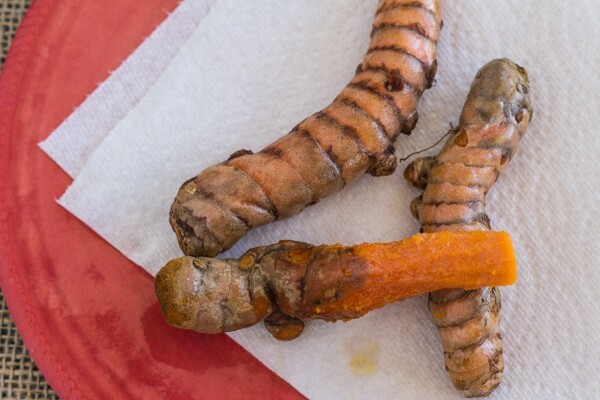 If you can find fresh turmeric, you'll want to give it a try. Heat the oil in the pressure cooker. Stir in the onions, carrots, and garlic, and sauté about 5 minutes, until the onions soften. Stir in the turmeric, curry powder, cumin, and salt, and cook about a minute. Add the potatoes, vegetable broth, and apple juice. Lock the lid in place and cook on high pressure 5 minutes. Quick release the pressure. Stir in the lime or lemon juice. Taste--add more salt if needed. 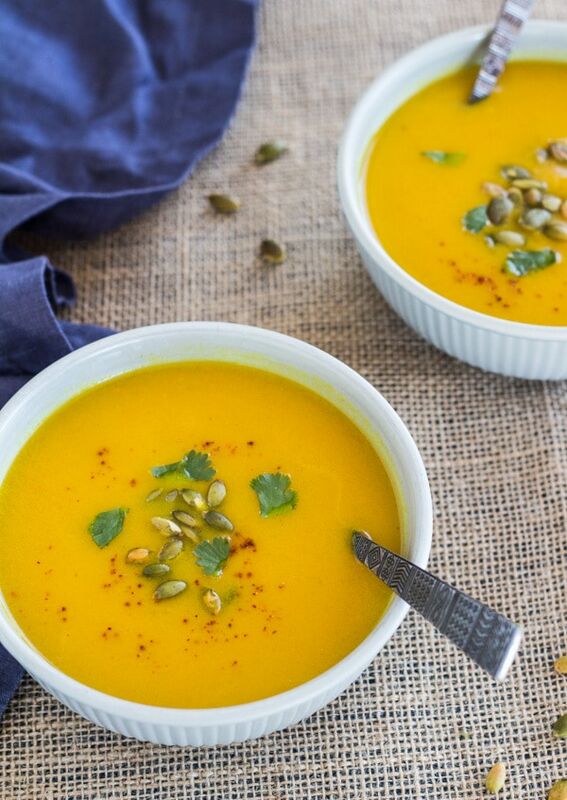 Serve hot, with toasted pumpkin seeds, fresh cilantro, and a sprinkle of ground chiles. No pressure cooker? Simmer the soup, covered, until the carrots and potato are tender.